I don’t mind the store bought tofurky, and actually really like the stuffing that the Turtle Island Tofurky has inside of it. Even Trader Joe’s had a vegan tofurky this year (I have one in my freezer, but haven’t actually sampled it yet). However, as far as I know, all of the store-bought ones are high in gluten, and I have quite a few people in my life who try to avoid eating gluten. 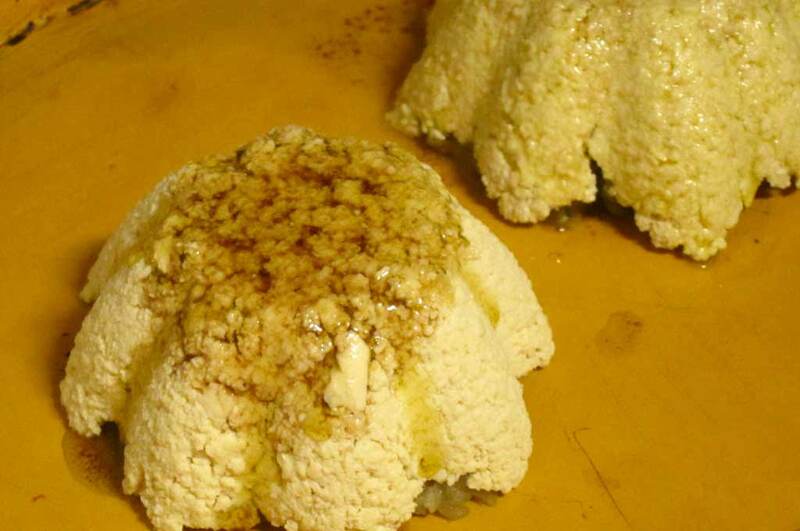 That is how the birth of the homemade gluten-free tofurkey came about. 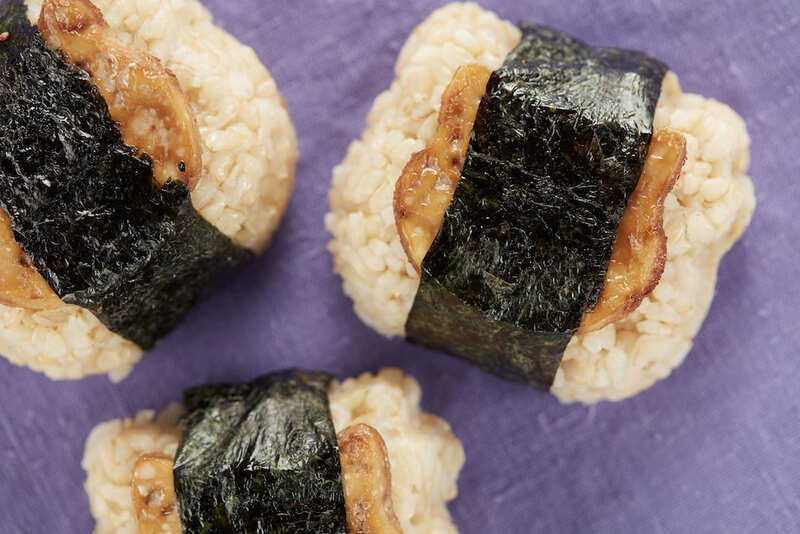 There are basically 3 parts to making this: the tofu, the stuffing, and the marinade. I didn’t really use a recipe for the stuffing, but it wasn’t gluten-free anyway, so hopefully I will post my gluten-free stuffing recipe soon. 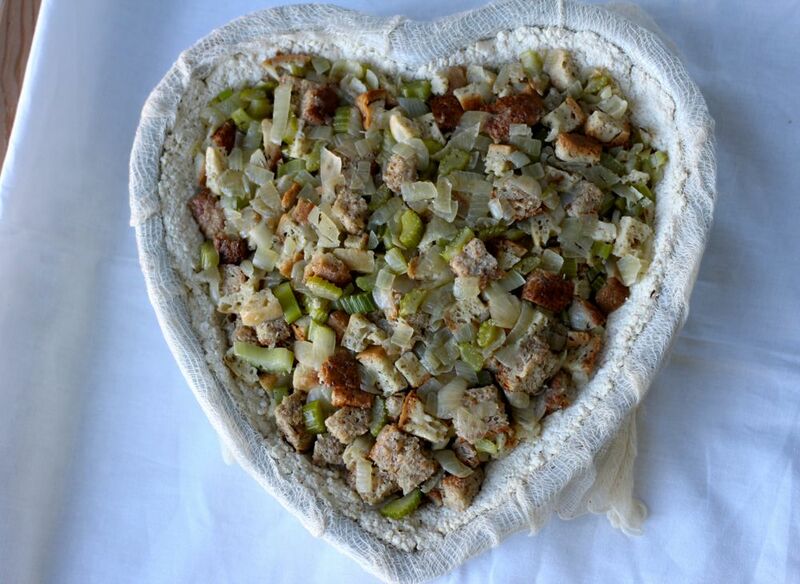 For now, if you’re interested in viewing a recipe for stuffing that isn’t gluten-free, you can see this one over at Thug Kitchen. 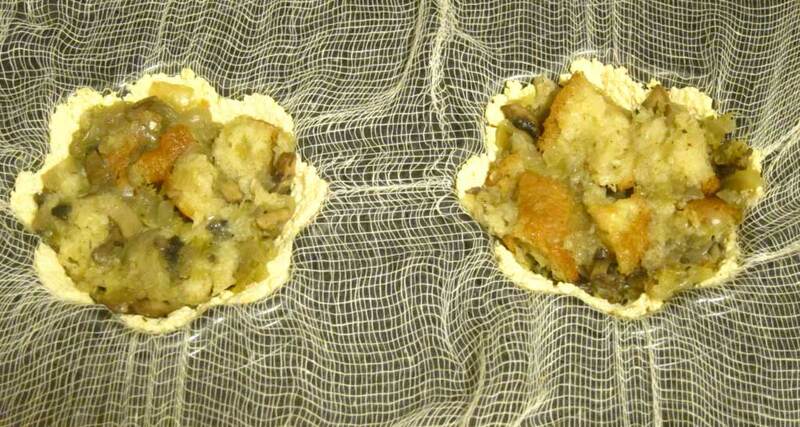 The photos in this post are from different years since I make this recipe every thanksgiving. Here’s a video of me making this on periscope. 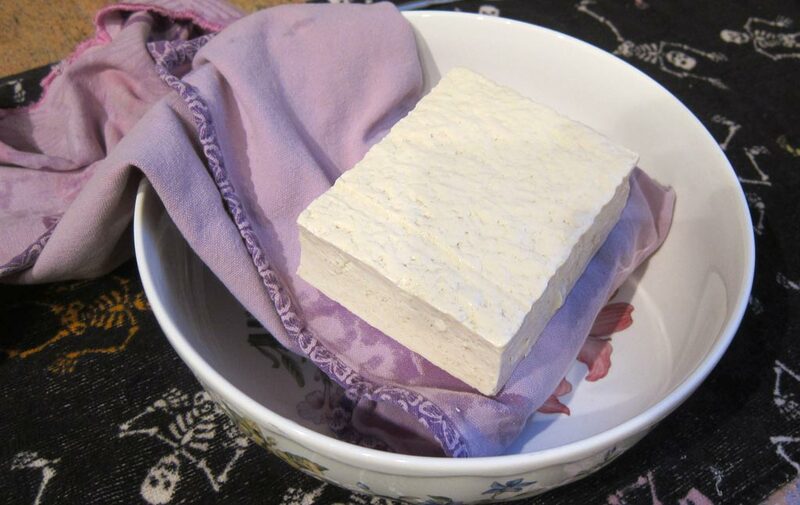 Rinse the tofu and wrap each block in a kitchen towel. Leave wrapped as long as possible, preferably overnight in the fridge. 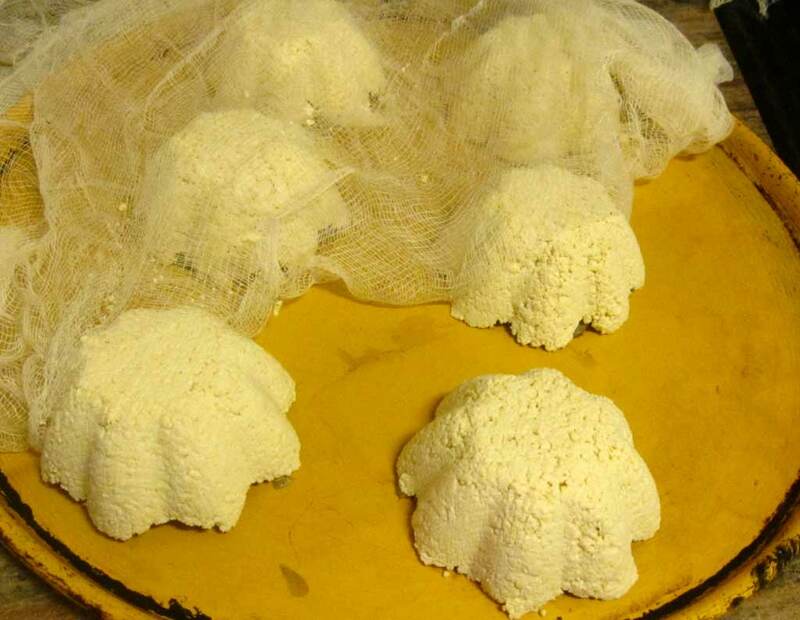 After they sit, while wrapped in towels, squeeze to get extra moisture out of tofu. Crumble tofu into a bowl. Add garlic, onion, salt, and smoked sea salt to the tofu. Mix. 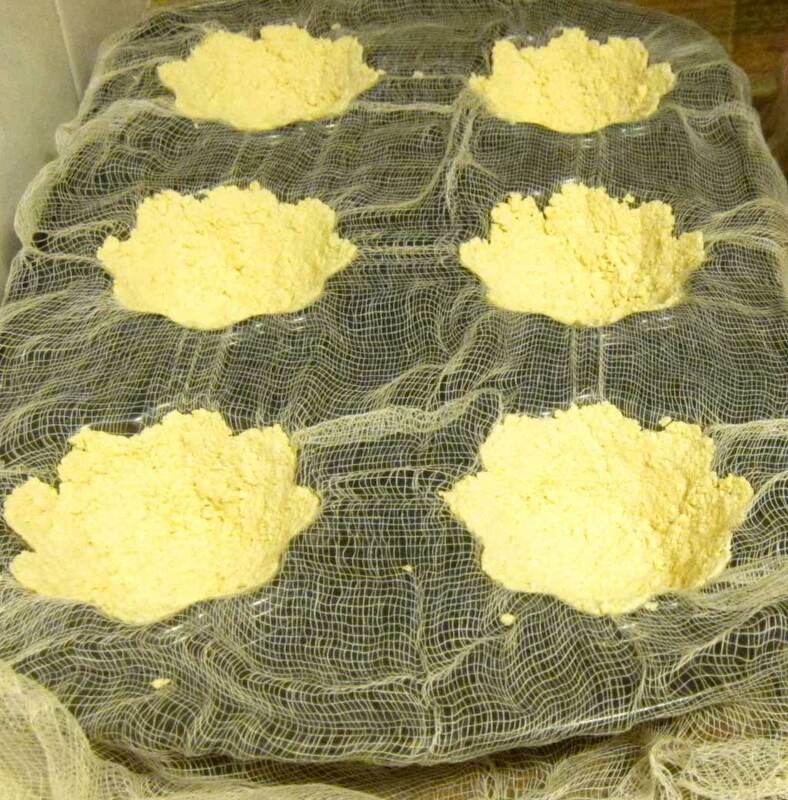 Line a mold with cheesecloth. 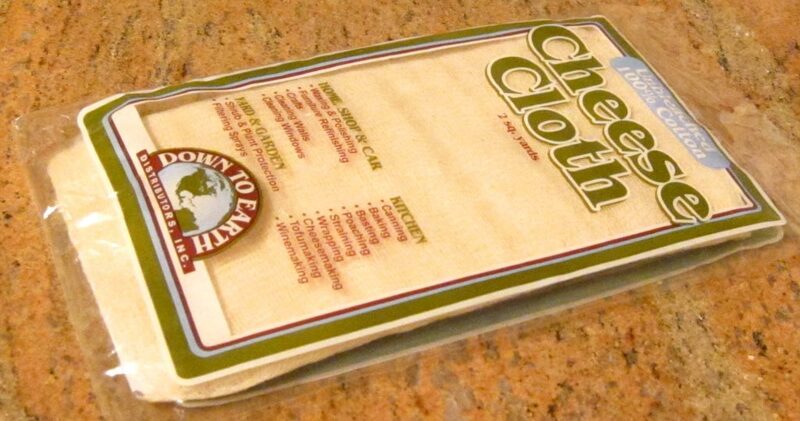 If you don’t have access to cheesecloth, you can use parchment paper in a pinch. 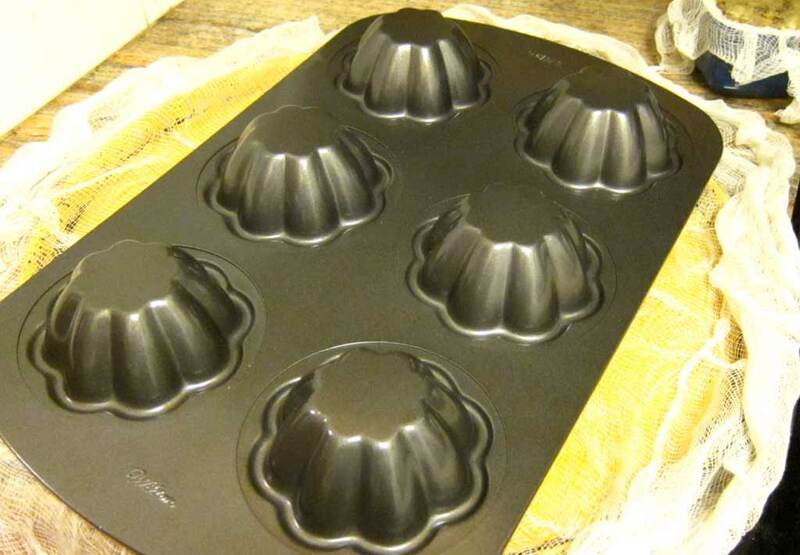 Feel free to use anything as your mold…a loaf pan, a bowl, etc. I used this cute pan that I had bought to make cookie bowls awhile back. 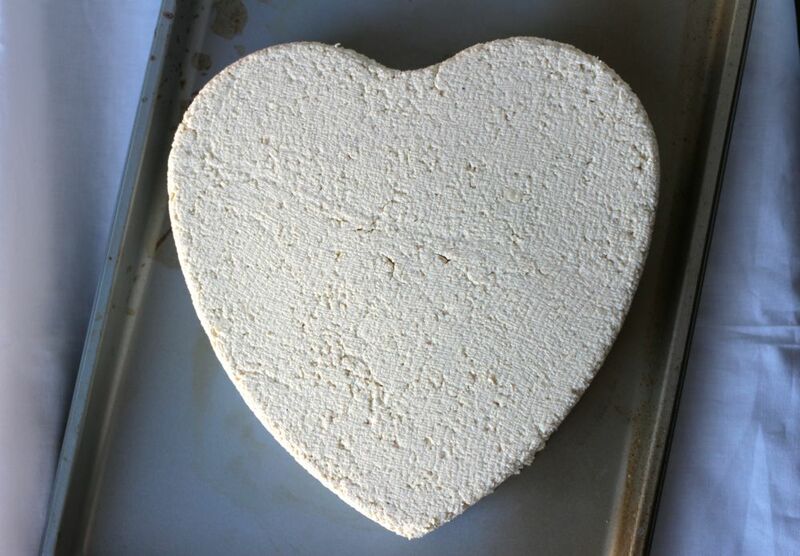 Press tofu into mold to line all surface area with tofu approximately ½ – 1” thick, depending on the size of your mold. Press with your fist and/or palm to make sure it’s packed tightly. Combine braggs and olive oil (equal parts) to make marinade. Add broth to stuffing (you don’t want to add the broth until you’re ready for this step or it might get too soggy) and then press stuffing into the mold inside the tofu. Press firmly until mold is filled completely. 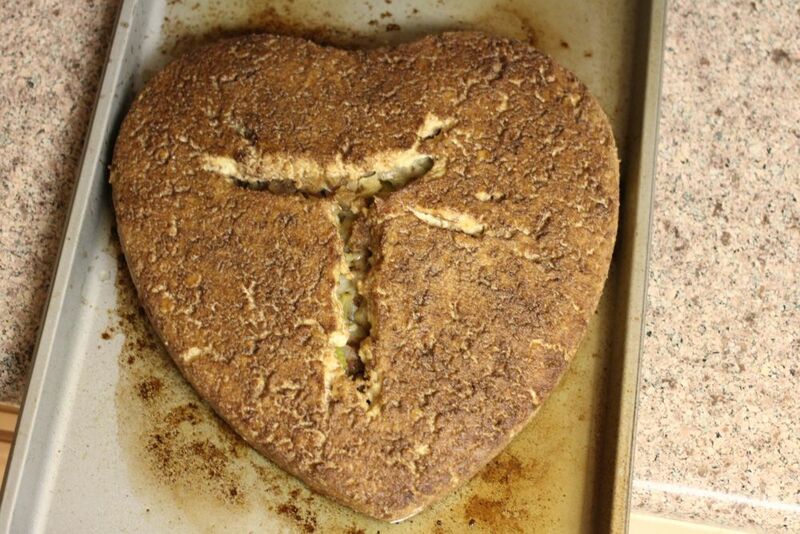 Turn mold over onto an oven-safe pan (with sides) to bake tofurkey on, and tug on the cheesecloth if it doesn’t come out on its own. Lift off the mold. 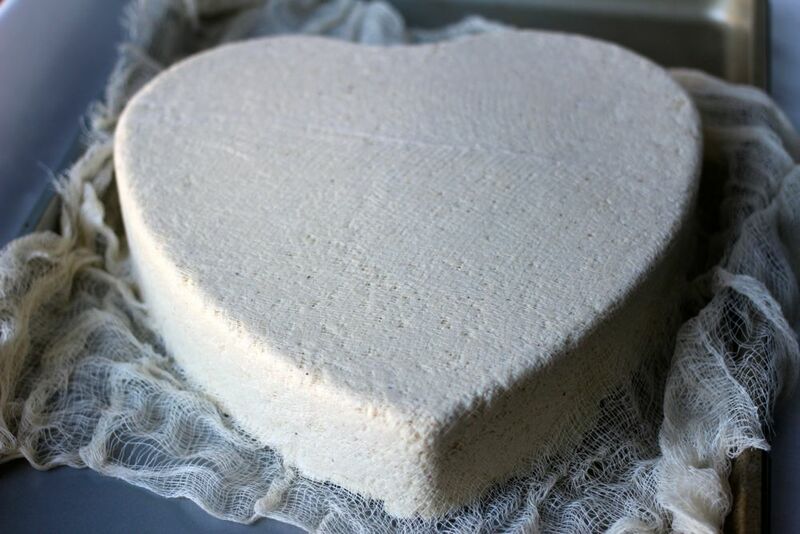 Peel the cheesecloth off carefully so as to not undo the cute shape you have created. Baste entire surface area of tofurkey with marinade including sides. I used a silicone brush. 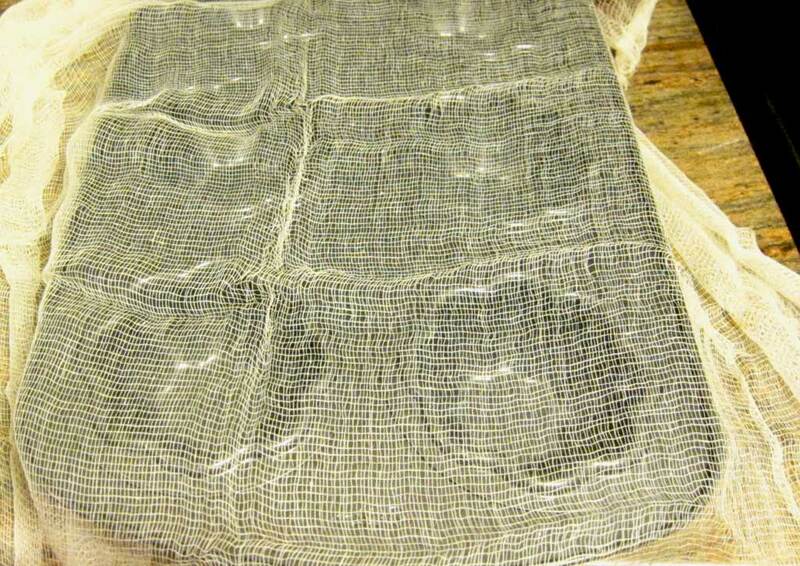 Bake at 400º for 20 minutes covered with foil. Then remove foil, rebaste, and return to oven uncovered for 45-60 minutes (depending on the size), rebasting every 15 minutes. Remove from oven, slice, and serve. If you happen to have any leftovers, I suggest reading this blog post to inspire you to make leftover sandwiches. Not a hot pocket. Not a calzone. 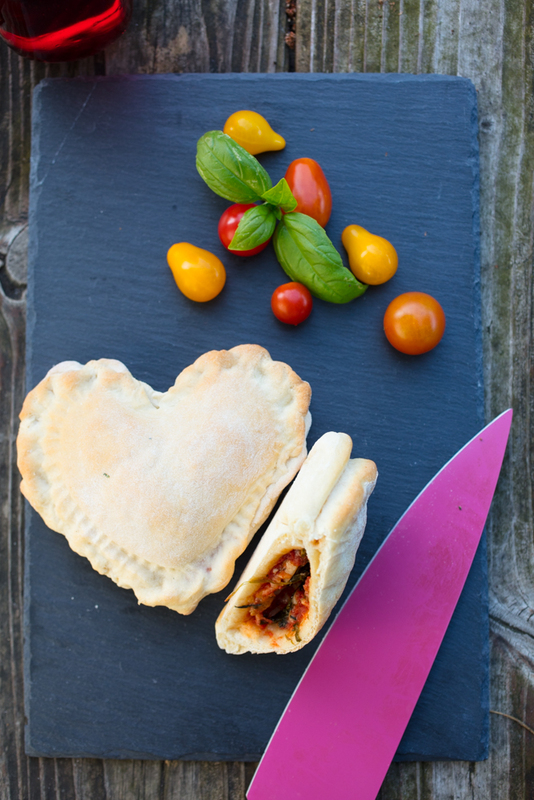 Let's call it a stuffed pizza pocket.